If you want a simple to install protecting tool, then downloading VIPRE Rescue is a right decision for you. It will protect you against threats that try to sneak in while you are using social media websites and it will be straightforward to use the software. All of the settings will be available for you, and you won`t have to spend an extended period making the right settings. It finds 99 percent of the malware on any device, and it can turn out to be an excellent tool for any user that wants to have a protected experience. VIPRE Rescue will also be a useful tool if the user wants to merely monitor different websites by enabling the browser extension that this one has attached to it. If you try to visit a dangerous site, VIPRE Rescue will display a message to you, so you know that the site isn`t secured. The personal firewall of this tool is another great feature because it will protect your internet connection and it will also enable you the email protection you need. It will even keep an eye on viruses in messages, including in attachments. It will send a copy of the phishing email to the quarantine folder, and you can check out the message you have received without becoming infected with a virus. 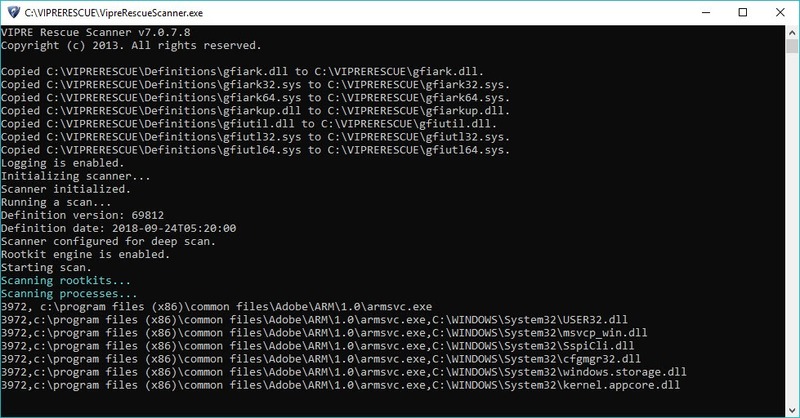 All of the viruses captured with VIPRE Rescue are going to be permanently deleted without any trace left on your computer, and it will also have a social media tool which scans your Facebook timeline to see if there is any malicious link that you should know about.